Do you now see a clarity to the message the Messiah is clearly pointing out? Quite frankly He is telling you that those who do not practice the Father’s Will – i.e., practice “lawlessness” – will be rebuked from entering the kingdom of heaven. Likewise, the above scripture is clearly telling us WE ARE NOT SAVED BY FAITH IN CHRIST ALONE. He who has my commandments (LAW/TORAH) and keeps them, it is he who loves Me. And he who loves Me will be loved by My Father, and I will love him and manifest Myself to him (TESTIMONY). “If anyone loves Me (TESTIMONY), he will keep My word; (LAW/TORAH) and My Father will love him, and We will come to him and make him Our home with him. “But these things are eternal life: 'They shall know you, for you alone are The God of Truth, and The Messiah whom you have sent (TESTIMONY) I have glorified you in the earth; I have accomplished the work that you have given me to do. Now, glorify me, my Father, in union with yourself, in that glory which I had in union with you before the universe was. I have revealed your Name to the children of men, those whom you have given me from the world; yours they were, and you have given them to me, and they have kept your word.”(LAW/TORAH). “And yet I confess this, I'm a follower of The Way [ of the Messiah ] (TESTIMONY), which they call a sect. This means that I serve our ancestors' God and believe everything written in Moses' Teachings and the Prophets". 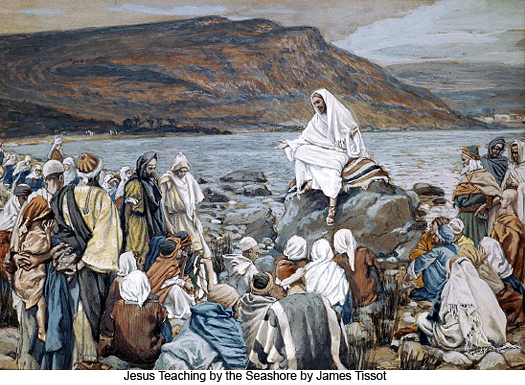 Editor's Note: Under threat of death, Paul admitted the above which the Nazarenes followed - faith that the Messiah is the Son of the living God and keeping the Mosaic Law, however, he would later teach a false gospel claiming the Law was a curse and spurned the Father's and Messiah's commandments. 14"What use is it, my brethren, if someone says he has faith (TESTIMONY) but he has no works (LAW/TORAH)? Can that faith save him?" "So also faith (TESTIMONY) by itself, if it does not have works (LAW/TORAH), is dead." But someone will say, "You have faith; I have deeds." Show me your faith (TESTIMONY) without deeds (LAW/TORAH), and I will show you my faith (TESTIMONY) by my deeds (LAW/TORAH)". 20"But are you willing to recognize, you foolish fellow, that faith (TESTIMONY) without works (LAW/TORAH) is useless? 21Was not Abraham our father justified by works (LAW/TORAH) when he offered up Isaac his son on the altar? 22You see that faith (TESTIMONY) was working with his works (LAW/TORAH) , and as a result of the works (LAW/TORAH), faith was perfected;"
"You see that by works (LAW/TORAH) a man is justified and not from faith (TESTIMONY) alone." "Just as the body without the spirit is dead, so also faith (TESTIMONY) without works (LAW/TORAH) is dead." Ultimately, one must decide whether to believe the Word of God the Father, His Son the Messiah, the 12 Apostles and the brother of the Messiah, James, or that of the Pharisee, heretic and fraud, Paul to enter the Kingdom of Heaven. (c) IS MESSAGE DELIVERED TO THE CHILDREN OF THE HOUSE OF ISRAEL? (a) YES - THE MESSIAH TELLS HIS DISCIPLES TO KEEP THE FATHER'S & HIS COMMANDMENTS (LAW / TORAH). (b) YES - THE NT IS PRIMARILY ABOUT THE TESTIMONY/FAITH IN THE MESSIAH. (c) YES - THE MESSIAH PREACHES HIS GOSPEL OF THE KINGDOM TO 2 OF THE 12 TRIBES OF ISRAEL WHILE IN JUDAEA. ... I must preach the Good News of the Kingdom of God to the other cities also, for I was sent for this purpose." "...I was sent only to the lost sheep of the house of Israel."